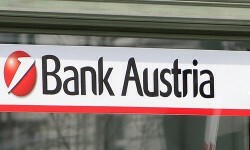 According to the U.S. rating agency, the creditworthiness of the biggest Austrian bank has worsened. The expansion program in Russia and Turkey is seen as significant risk factor. Analysts of Moody´s have cut Bank Austria´s rating from “A3” to “Baa1”. What is more, the outlook remains negative. This is the first downgrade since spring 2012. More than one year ago, Moody´s has cut Bank Austria´s rating by one notch.